Special! Buy two member registrations and get the third for only $495. Business casual for all sessions. Highs in the 70s F and lows in the around 50s F.
Book your hotel room by March 2: click here or call 1-855-402-7423 and mention FPPA. Join us as we come together to take on industry challenges and grow our businesses. Not only will this conference include an inspiring keynote presentation, it will also feature technical sessions from supplier members and opportunities for one-on-one networking. 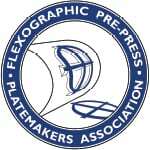 Take your seat at the premiere flexo pre-press industry conference! See you in Savannah. Book your room at the FPPA discounted rate of only $209/night by March 2! Click here or call 1-855-402-7423 and mention FPPA.